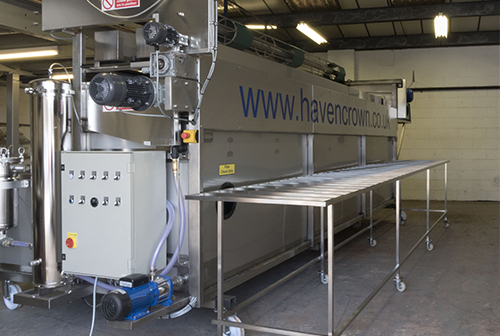 The Havencrown HN6000­MKIII marquee washer dryer system combines advanced cleaning performance and compact dimensions at an unbeatable price. Using sophisticated electric motors linked through reduction gear boxes and an inverter, we have developed a machine that out performs our previous models. The same excellent cleaning quality, clean and dry covers, but also economy in running costs and quietness in operation. Washing speeds are variable from less than a meter a minute to over 3 metres a minute. The continuous operation means that there is minimal delay between covers being washed. 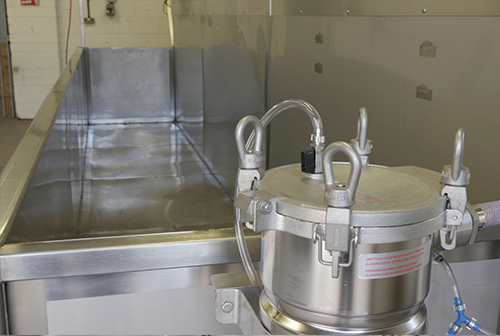 The NEW HN6000 & HN5000­MKIII has two tanks, one containing the detergent solution. The second tank is the rinsing tank. This tank has the rinsing spray system. 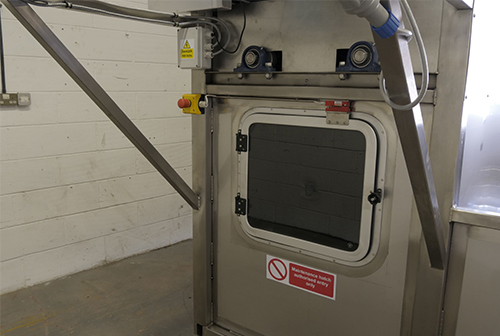 The detergent tank holds 2,500 litres of water and once the detergent has been added can be used and reused for a number of weeks. The rinse tank holds 1,500 litres of water. This water is circulated through a filter system to remove any debris and then through carbon filters to remove any detergent, before being sprayed back onto the covers to remove any residual and dirty water. Above the rinse tank are a sets of revolving brushes. 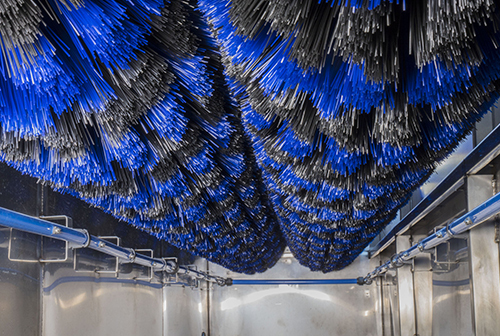 The cover passes between these brushes twice once for the cleaning process and a second time to remove excess water from the cover, prior to drying. The air knives blow a large volume (3,740 sq. ft./min) of air through a small gap on either side of the cover which drives any residual water and dampness off the cover. This fan is normally assisted by introducing warm air from a heater at the air inlet. We occasionally have used machines for sale. Please contact us to register your interest. The robust and reliable HN5000 has allowed us to start and grow a profitable marquee cleaning company. The sheer simplicity of the machine means we can rely on it 24/7.